Is health the absents of symptoms? Then why do we call some diseases “the silent deadly killers”? Health has more to do with taking care of what you have than trying to repair and replace what is broken. If you wait till your car breaks down on the freeway before you get it serviced, are you helping or hurting yourself? Or is it that you like huge car bills to replace motors and transmissions? Do you use the same logic with your teeth? How about your spine? The spine is taken for granted. 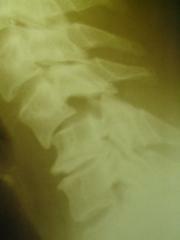 Very few people think about the spine and “how do I take better care of it”till it hurts. Sometimes pain is the last 10% of a degenerative process. Maybe its time to change the oil? We are not a product of our injuries; we are a product of how we take care of our injuries. 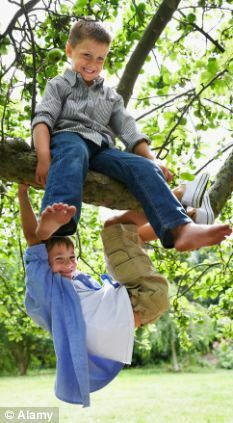 By age 10, the average child has had 200 significant falls. Using pain as our meter for spinal maintenance is like looking for smoke out the tailpipe to get an oil change. These accidents are the precursors to limitations later in life. In a perfect world, those injuries would have been addressed and corrected as near to 100% as possible. And the precursors may never have developed into spinal and joint decay. Now that we have reached middle age and have let the precursors mature into spinal and joint decay, working on restoring optimum potential for our spine and joints should be priority one with natural chiropractic care. By aligning your spine with chiropractic care and correcting your lifestyle , you begin to move as close to 100 percent function and have your best chance of not only feeling better, and reaching and maintaining your optimum health potential. 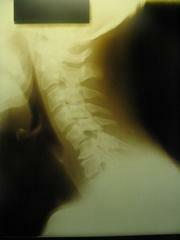 Many of my patients and perspective patients ask why I take x-rays? #1 – we need to view exactly how the vertebra is misaligned, so we can adjust the vertebra’s position in a very specific manner. #2 – patients walk into chiropractors offices daily that need help after a minor incident, wether it was yesterday, 10 days ago, or 3 years ago. This patient had fallen on his trampoline and had neck pain for 9 days (not all that intense). Please look at the x-rays and let me know if he’s glad the chiropractor wanted to be very conservative, specific with the correction, and take the patients safety seriously. Upon further inspection, this patient is withing 2-3mm of a broken neck and being completely paralyzed from the neck down. Medical intervention was needed. If the chiropractor had given into the patient that said “Just Crack It, Doc”, then the outcome would have been catastrophic. Specific Chiropractic Healthcare in Richmond Hill Ga is the way to go. Don’t settle for “Just Crack It”. Dr. Trace Palmer is a third generation chiropractor with 7 chiropractors in his family. With 16 years of experience, Dr. Trace is uniquely qualified to help you reach your health goals. Call today for an appointment and schedule your free consult with our office staff, usually the longer that you wait the longer it takes to regain optimum health. Do you suffer from: asthma, fibromyalgia, headaches, migraines, neuropathy, radiculitis, neck pain, back pain, low back pain, arm numbness, arm pain, shoulder pain, hip pain, hip numbness, leg pain, leg numbness, ankle pain, carpal tunnel, torticolisis, or many other neurology related conditions. Most people wait till its too late, don’t get caught up in the “maybe it will go away”.